My track record with plants is not good. If I so much as look at a plant it is sure to shrivel up and die. Most of my house plants last for about two months before they dry up from under-watering or rot from overwatering (sometimes I try too hard). Imagine my surprise when I have plants that break my personal record and live for a whole two years!! They aren’t just living, they are thriving! 😀 They are growing, producing little baby plants and blooming. What are these hardy plants that have managed to withstand my abuse you ask? I was thrilled to see this little purple flower. I love my air plants! These things take in the water they need through their leaves rather than their roots. As you can see I have mine sitting on top of rocks in a wall mounted fish bowl. I have seen them wired onto trees, glued onto driftwood, hanging from fishing line and sitting in bowls. The display possibilities are endless. They love warm, humid climates and that pretty much sums up South Carolina weather for half of the year. And since they only need indirect sunlight they do well in my shad covered yard or inside near a window. 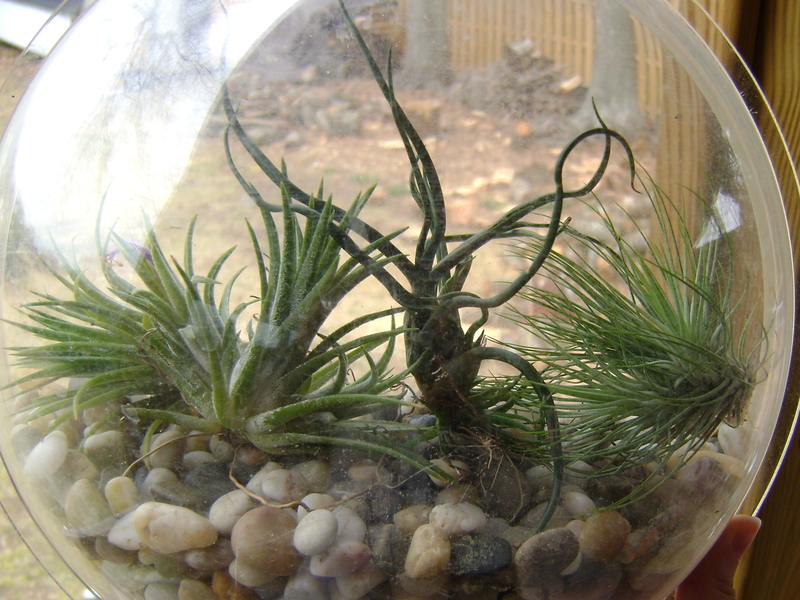 My care for the air plants can be easily mistaken as neglect. They like it that way though. In the warm months I keep them near the edge of my covered porch. That way they get morning sunlight, some natural rain fall and all the humidity they can handle. In the cold months I bring them inside near a window and mist them with a spray bottle whenever I think about it (which is not very often). Perhaps one day I’ll wake up with a green thumb. 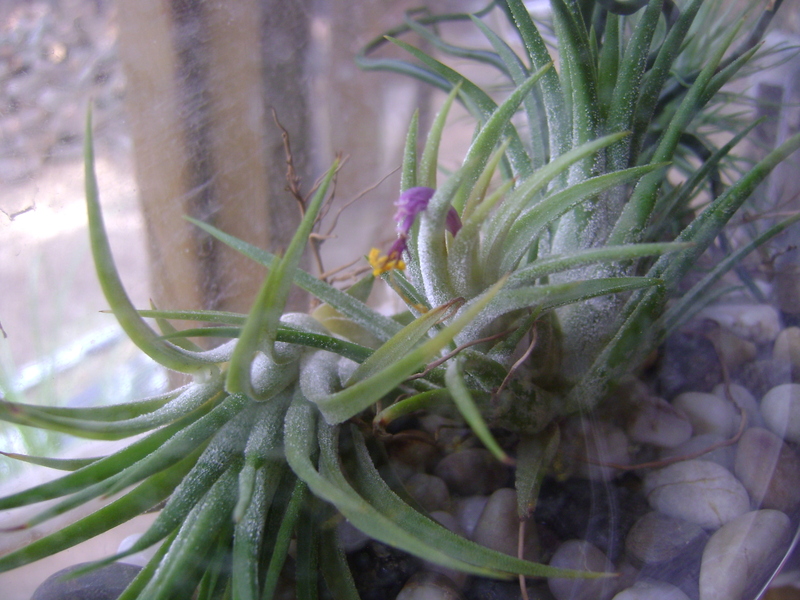 But until then I’ll leave the gardening up to Stephen and I’ll stick to my air plants.